Posted on September 26, 2018 at 10:18 am. 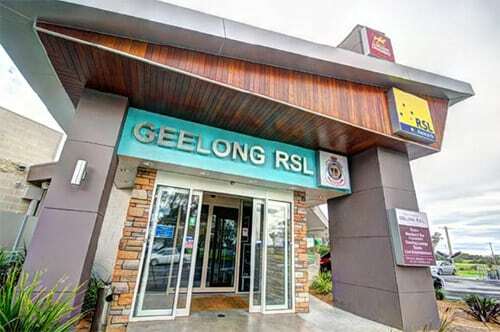 The City of Greater Geelong is expected to oppose the Geelong RSL’s bid to almost double its number of poker machines. The council meets this week to vote on the Belmont venue’s request, after which it will submit a recommendation to the Victorian Commission for Gambling and Liquor Regulation (VCGLR). Local media revealed in August that the RSL was seeking to add another 30 pokies to its gaming room, which would take the total number of machines to 72. According to a council report, acceptance of the application would result in a “net community detriment”. “Problem gambling is expected to increase in the community should the application be approved,” read the report. “The applicant identifies that gambling losses at the venue will be approximately $2.9 million in the first twelve months. Recent statistics from VCGLR showed that Geelong posted a loss of $10.67 million on pokies last July. That is the worst monthly loss on record besides December 2008, when $11.33 million went into the region’s gaming machines. Geelong posted $118.8 million in pokies losses in the 2017-18 financial year, which is the city’s second-worst year since statistics have been kept. The situation has several stakeholders speaking out, with Alliance for Gambling Reform director Tim Costello expressing deep concern. “Geelong is suffering from pokies losses that are rising at almost double the state average,” Mr Costello said. “It is shocking to think that it is becoming common for losses to exceed $10 million in a single month. The ACT government will force nine clubs to each surrender an additional pokies licence after the voluntary forfeiture initiative fell short of the 4,000-machine target. Find out how new players from Australia and New Zealand can claim 12 free spins on Farm Ville 2 by signing up at Emu Casino. Fill your belly with up to $300 bonus cash when you make a deposit this Friday at Mucho Vegas Casino. Join up at Joe Fortune and get a 100% match bonus for your deposit every day of the week.